Trademark Farms is owned and operated by Jerry and Stefanie Schermerhorn. We have been breeding Paso Fino horses since 1988, specializing in Pinto Paso Finos since 1989. Our breeding stock is based on national and international champions as well as PFHA top ten sires. We take pride in the foundation of our breed and incorporate foundation bloodlines into our breeding program. The traditional Pinto Paso horse encompasses everything that brought us to the Paso Fino breed over twenty years ago and continues to offer those same qualities without many of the modern influences that have reshaped the Paso Fino in North America. The Pinto Paso Horse is today as it was yesterday, truly versatile and pleasurable to ride and own. We invite you to drop by for a visit, come for a ride and meet the wonderful Pinto Paso Fino horses that call our farm home. We would be happy to saddle up a horse for you. Trademark Farms is a well established breeder of Pinto Paso and Paso Fino horses, as such we are continually researching and evaluating color genetics as related to Paso Finos. This includes attending color clinics, researching pedigrees and studying crosses that have performed well. We examine other breeds that have similar coat patterns, and mark their progress and setbacks. Trademark Farms strives to produce Paso Finos horses of exceptional quality, that have pinto markings. Our breeding program is now entering the fourth generation of Trademark horses, this means that we don't simply buy other breeder's stock and breed them together. We carefully plan each cross years in advance to ensure the next generation for our breeding program as well as being able to offer our clients horses that they can be proud to own. In 2003 we moved our breeding farm from Alberta Canada to West Tennessee in the States. Our goal is to promote the Pinto Paso Horse throughout North America, as well as promote our stock in the show ring and breeding shed. Our love of the Pinto Paso and dedication to the breed keeps us at the forefront of the Industry; producing Pinto Pasos that are a pleasure to own, a thrill to ride and are truly embassadors of the Paso Fino breed. 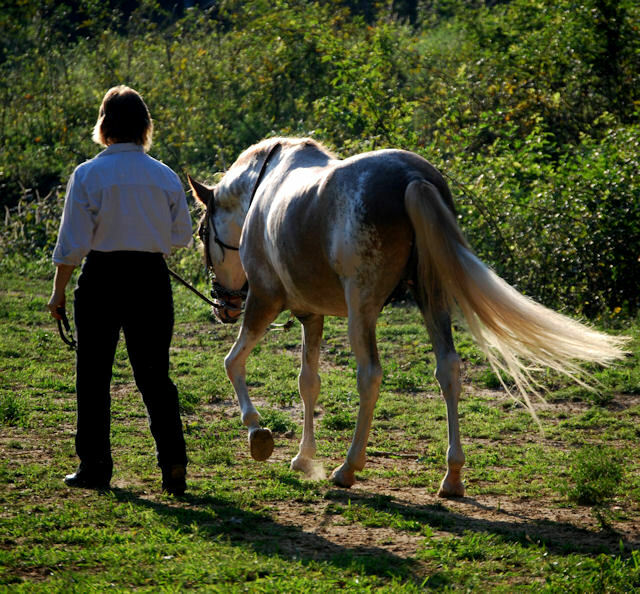 When you come to Trademark Farms, you will find a tradition of excellence, quality horses and extended customer service. You may find cheaper horses, but you wont find better trail and pleasure horses. 50 acres nestled in the trees and and rolling hills of West Tennessee is home to about 25 horses. 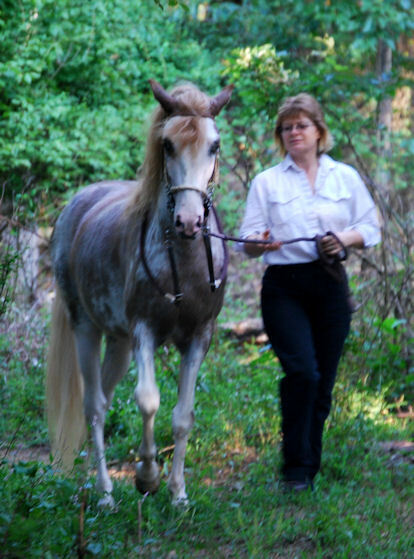 Located 6 miles from Natchez Trace State Park, the riding trails and facilities within the park provide excellent trail horse training opportunities, and just fun outings. (1.5 hours each) just 10 miles south of the I-40.